After a nine-year wait, a 55-minute rain delay wasn't about to sidetrack the Memphis Redbirds. The Redbirds clinched the Pacific Coast League American North Division title -- and their first playoff berth since 2000 -- on Saturday by completing a doubleheader sweep of the Oklahoma City RedHawks. David Freese went 3-for-3 with a homer and drove in a season-high six runs in the opener, powering Memphis to a 7-2 triumph. 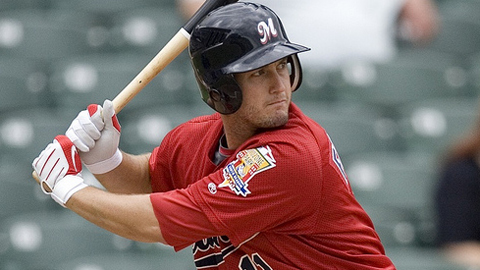 "I feel like I'm all the way back ... and this is what it's all about," Freese told The Commercial Appeal of Memphis. "Let's play this all the way through." The former ninth-round pick underwent surgery on his left ankle in May and missed a little over two months. In the nightcap, which featured a rain delay of nearly an hour, Tyler Greene hit a go-ahead two-run shot in the fifth inning to send the Redbirds on their way to a 5-3 victory. "It was long day," Greene said. "It was great to get that lead back and let our defense and pitching take care of everything. It's a great feeling to be able to make that kind of contribution." The sweep, coupled with Nashville's loss at New Orleans, gave Memphis manager Chris Maloney an extra reason to celebrate on the day before his 48th birthday. "You can't say enough about this team," Maloney said. "We were way down a long time ago and we came back and got it done. It tested the will of these guys and I'm just as proud as I can be of everything they have accomplished."